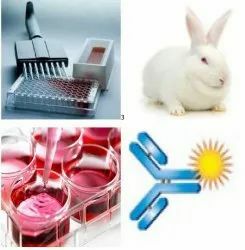 We are engaged in offering of Contract Research Services in the area of pharmaceutical and biopharmaceutical research. Process Chemistry is one of the core competencies of Harthri Chemicals. Our team has experience in advancing lead molecules from bench to commercial scale production. Cost efficiency is of main important factor that makes us unique in the market. We have the expertise for the contract research in synthetic organic chemistry. We have contract with manufacturing facilities in and around Bangalore to enable us to provide cost efficient manufacturing services. We help companies amplify innovation capacity with contract R&D services including identifying relevant partners, negotiating agreements, defining and monitoring programs, and conducting R&D. We are highly skilled and experienced in contract research, SEO, and BIO-INFORMATICS. We have the high ground thanks to our BIO-INFORMATICION team and developers to bring the applied skills in our products. 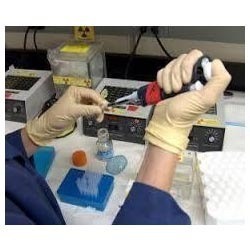 Anax Laboratories has core specialty in custom synthesis of organic compounds. We take-up contract research assignments of any complexity involved synthesis of high value low volume organic molecules. - In-house process development and technology driven. Participation in the AP Inspection Program is voluntary - manufacturers may request to use an AP, or continue to go directly through the FDA. To qualify to use an AP, your organization must meet certain criteria set by the FDA.